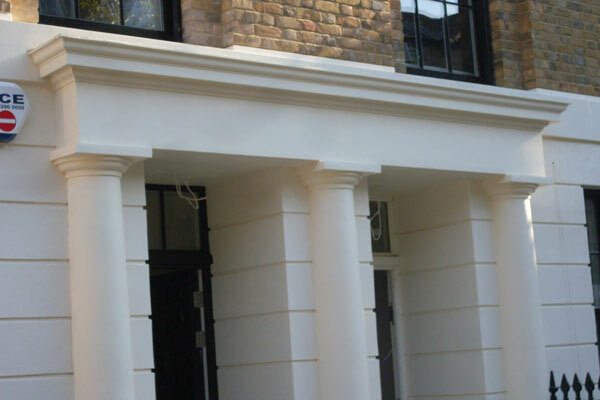 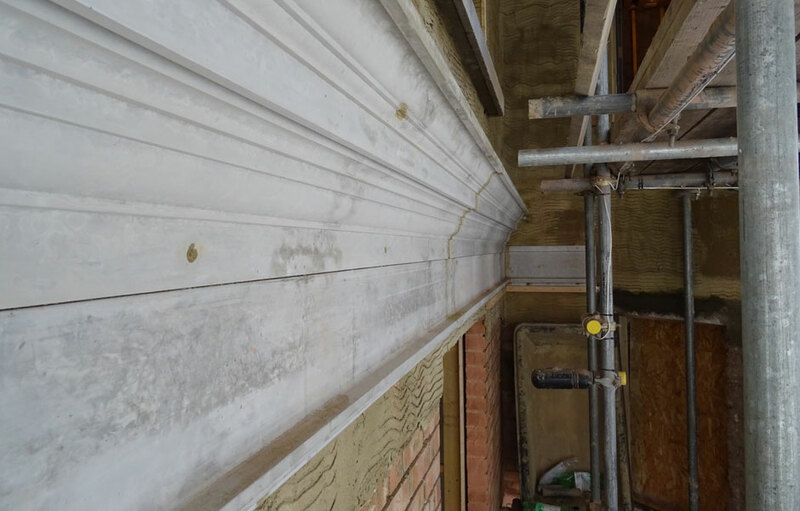 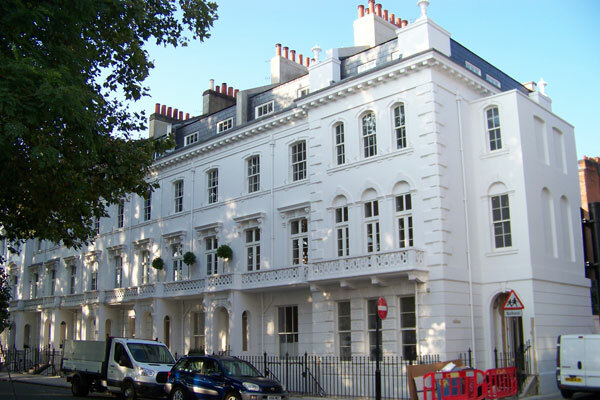 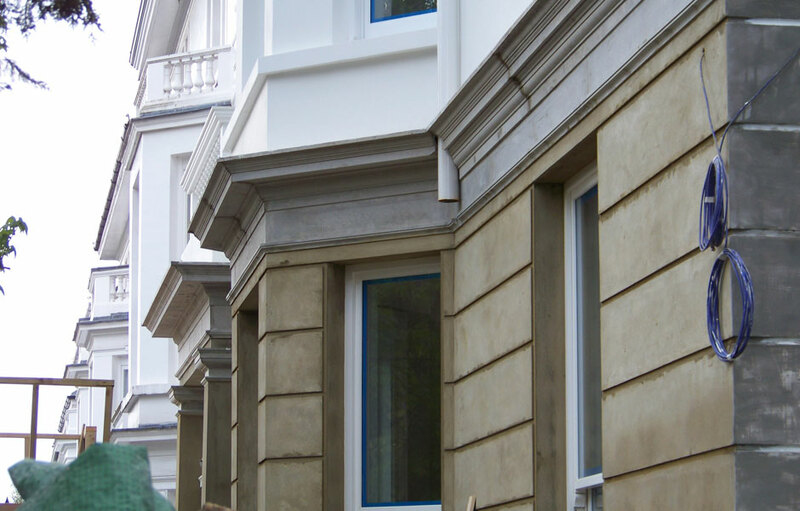 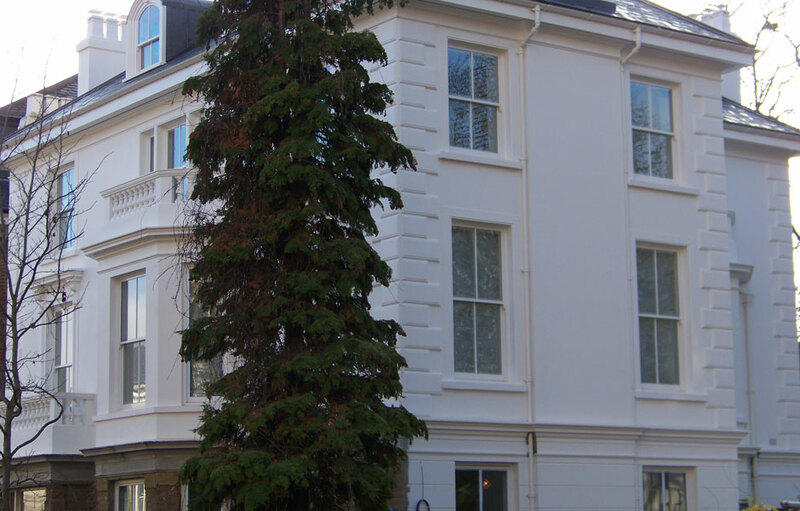 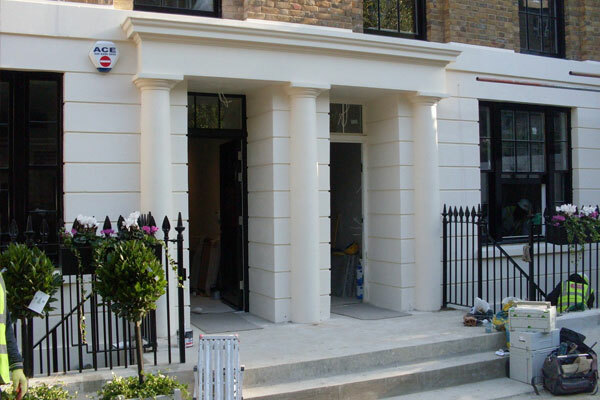 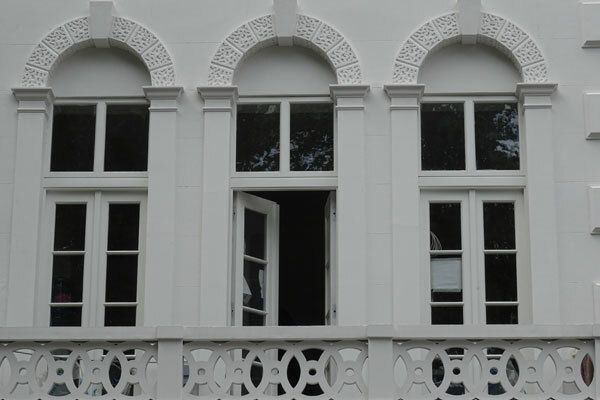 Architectural external mouldings are just as important to the exterior of buildings as to the interior, from the simplest sand & cement moulding architrave to the grandest entablature. 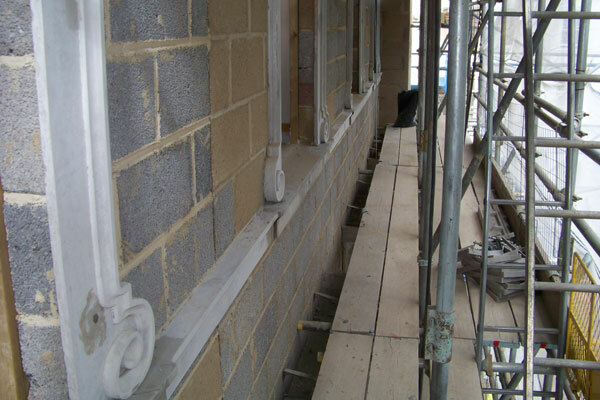 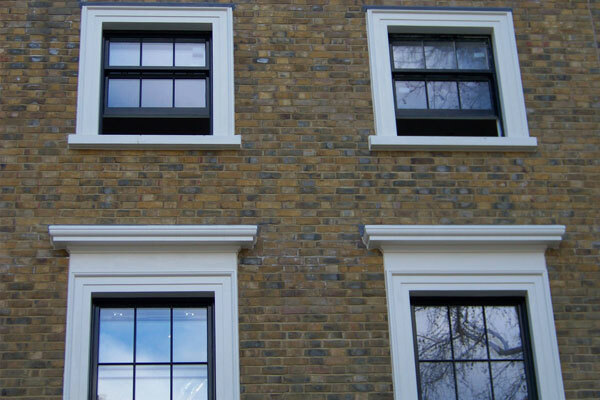 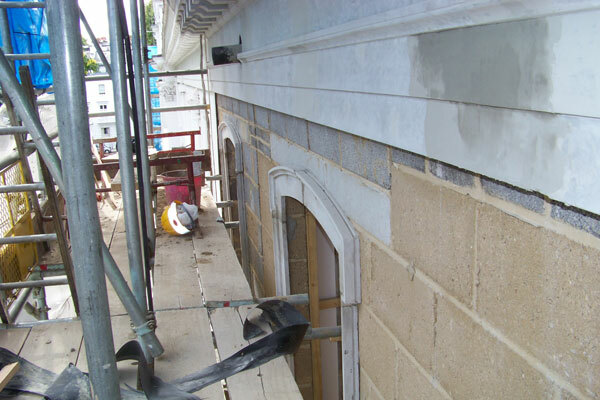 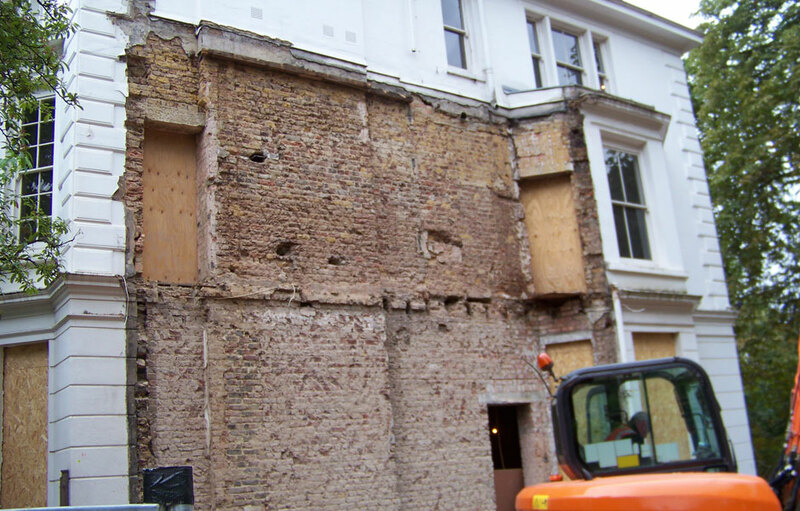 Architectural external mouldings protect the underlying brickwork while adding character to the building. 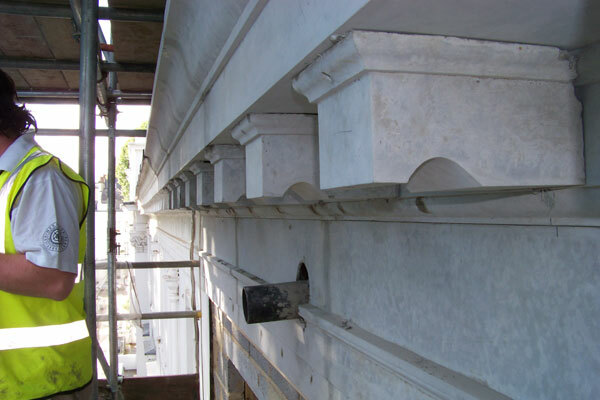 A large, high-level enriched modillion block ‘drip’ cornice provides grandeur and status whilst keeping the rain fall away from the bare bricks below. 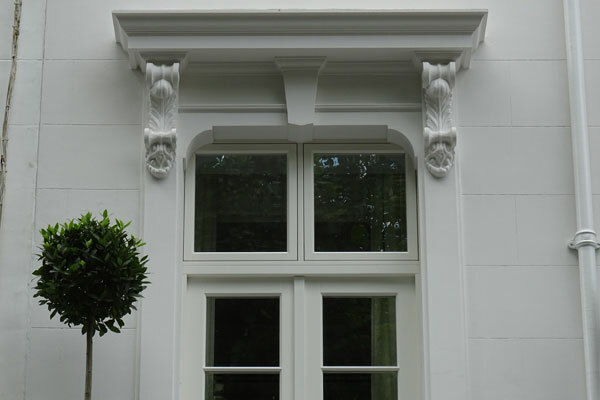 Pediments, arches and columns also serve the double purpose of decoration and protection. 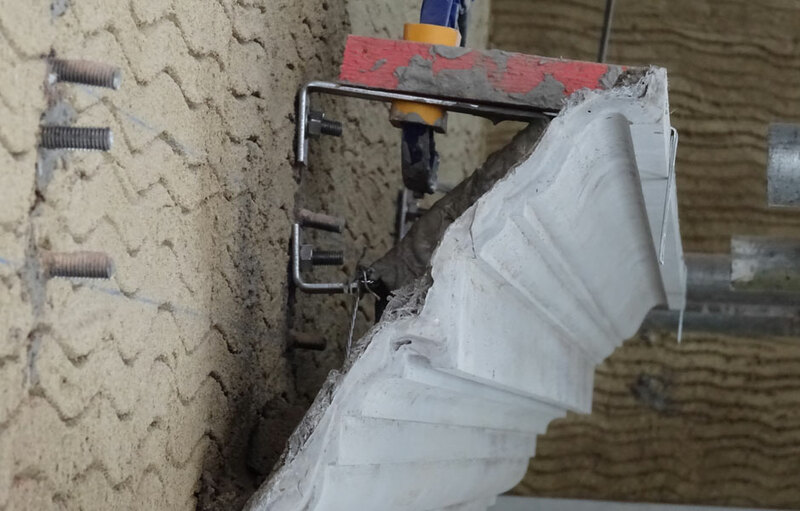 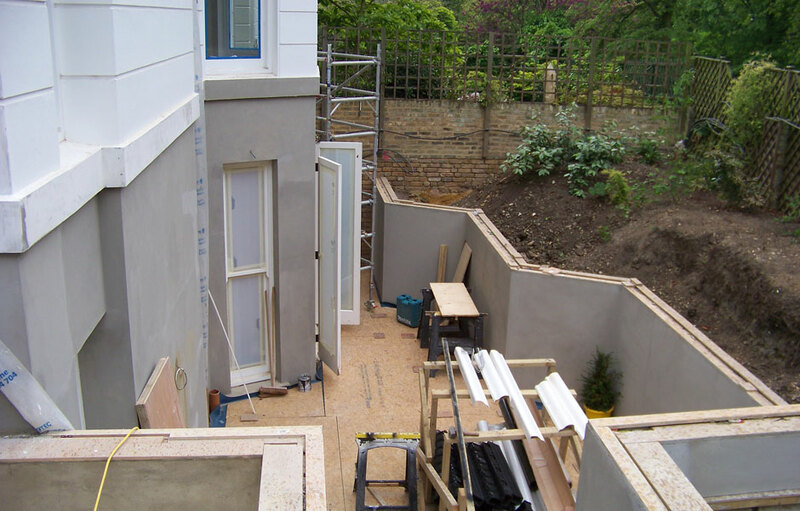 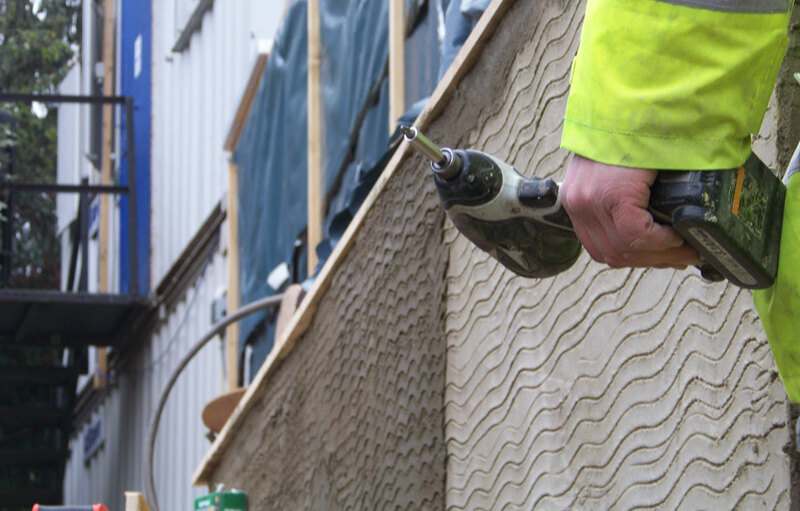 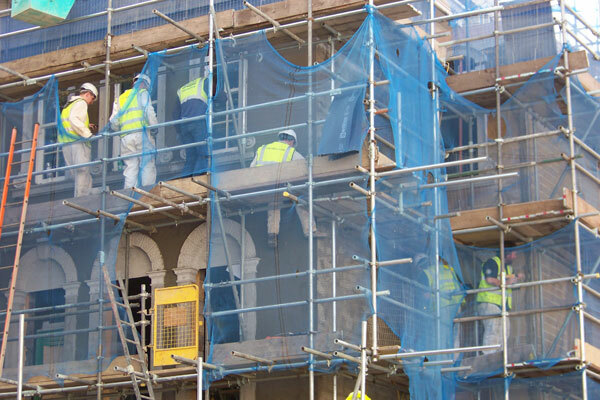 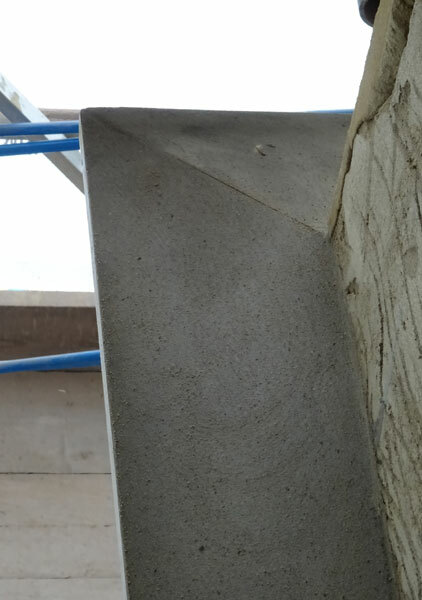 While we’re happy to look at supposedly hard-wearing new materials for exterior mouldings, we’ve consistently found that traditional sand and cement are best. 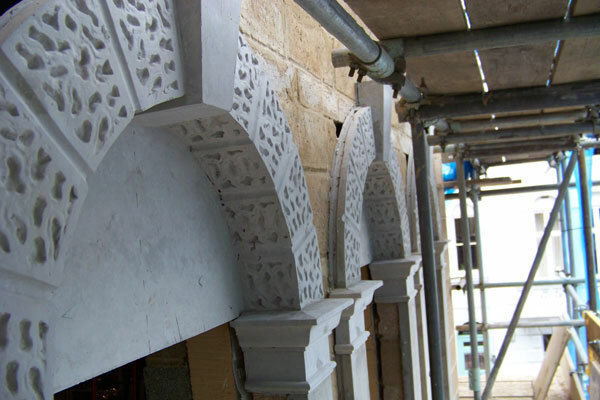 First discovered in 1824 when Leeds bricklayer Joseph Aspdin realised that mixing specified proportions of finely pulverised chalk and clay, burning them at a high temperature and grinding the resulting clinker produced a hydraulic binding material far superior to any product known up to that time. 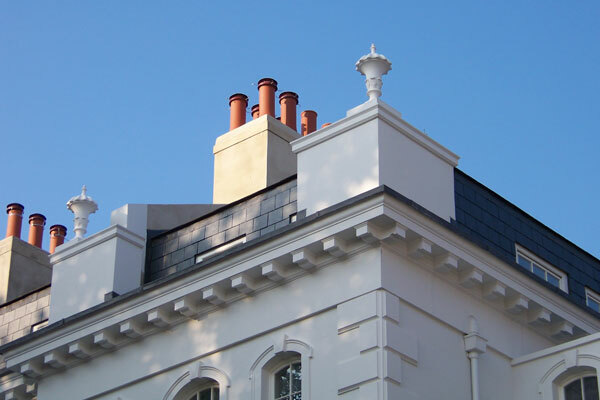 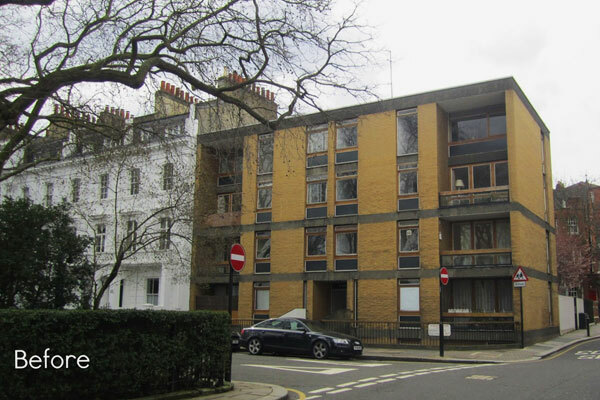 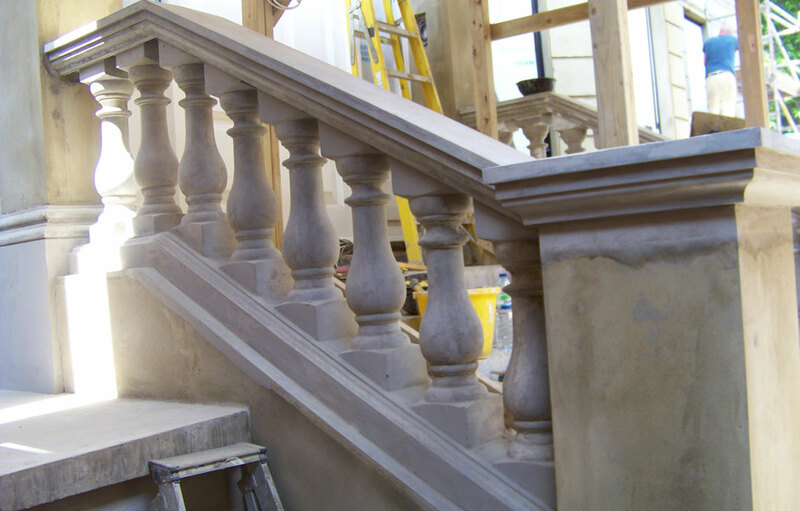 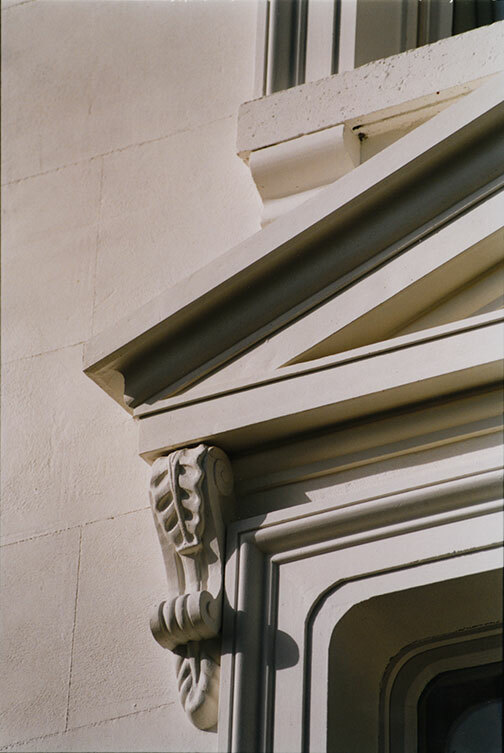 Named for its resemblance to Dorset’s Portland stone, the production methods have improved over the years, but the basic material is the same – versatile, hard-wearing, and perfectly in keeping with many traditional buildings. 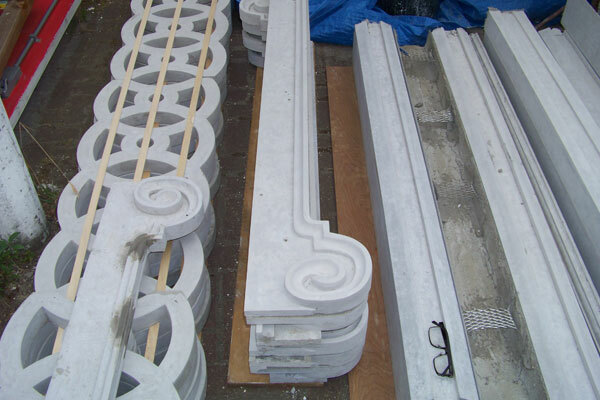 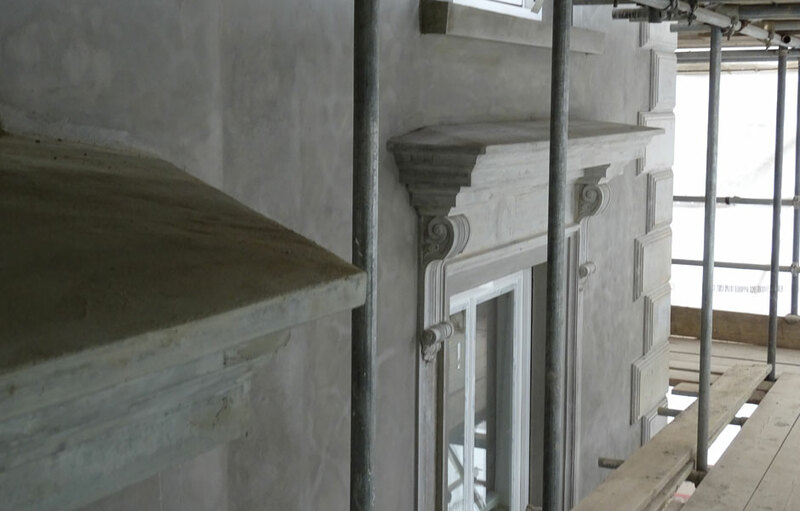 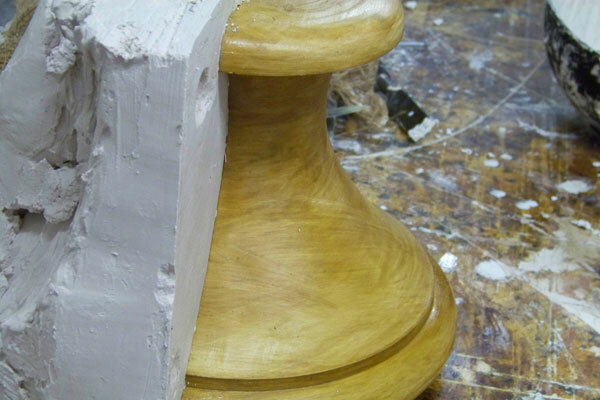 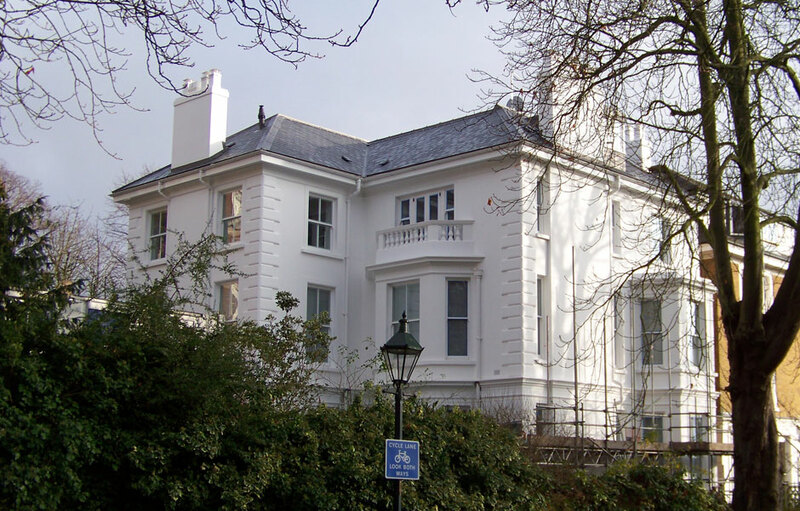 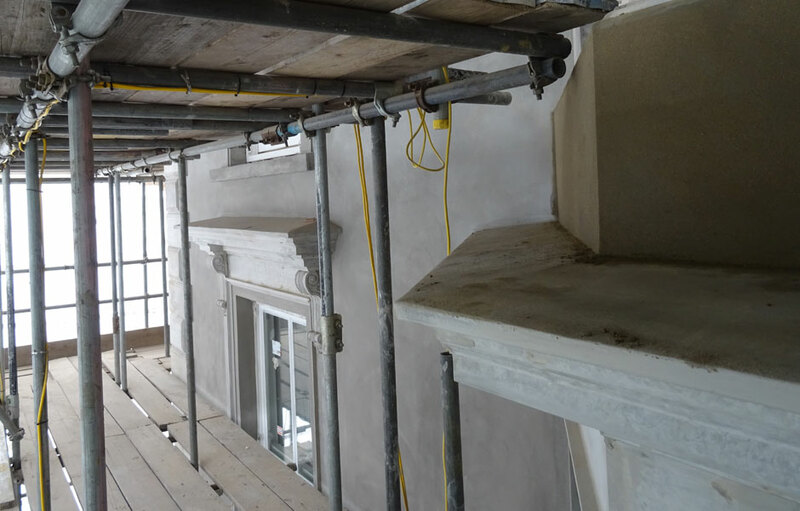 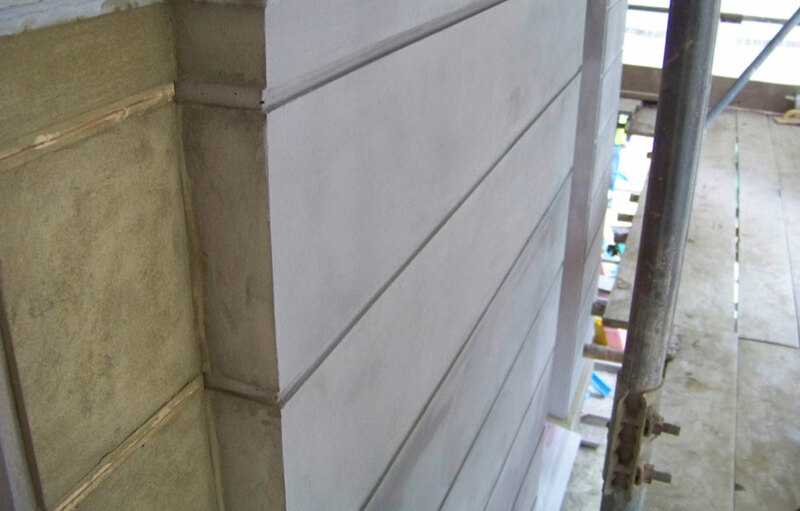 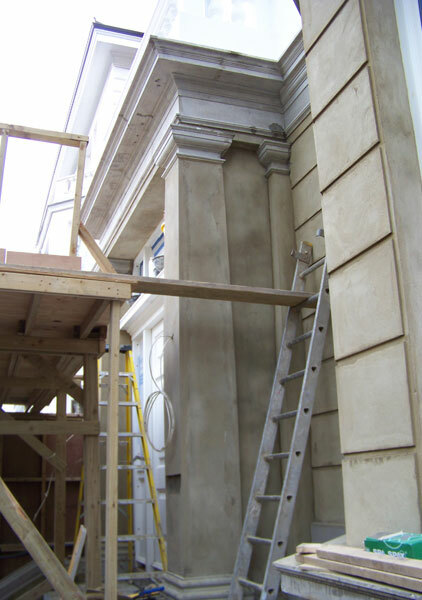 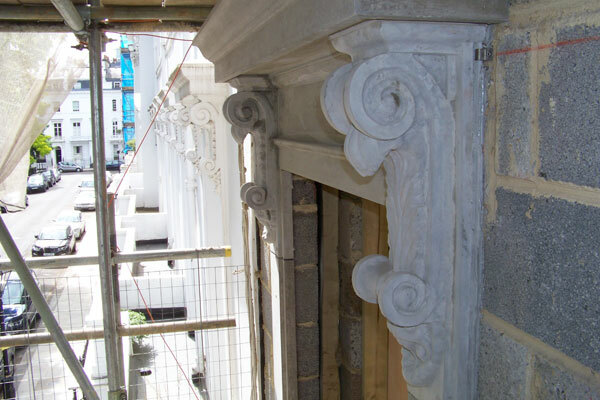 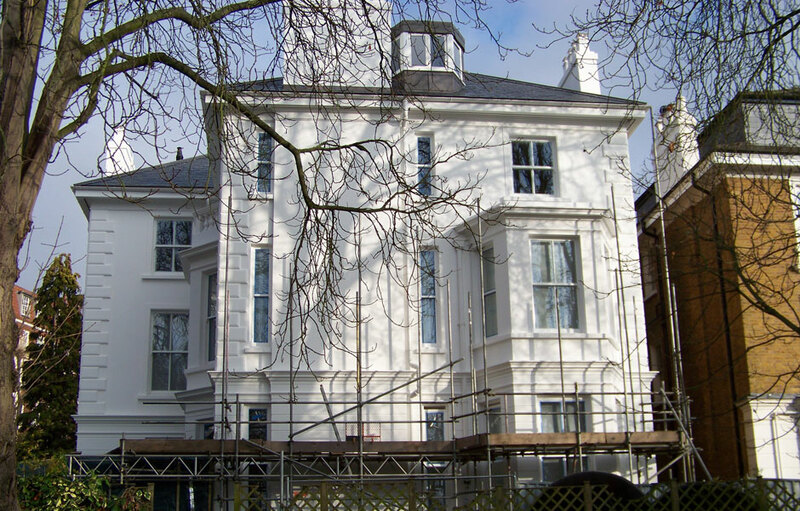 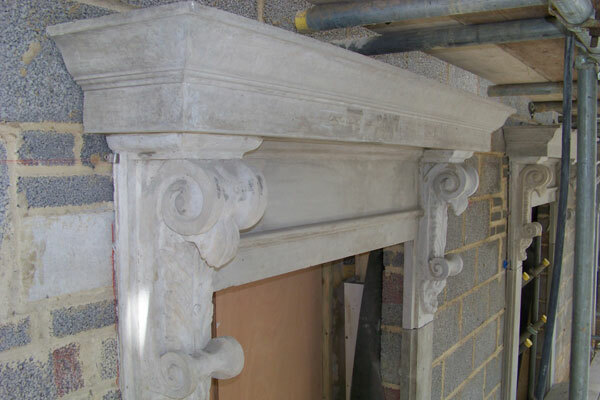 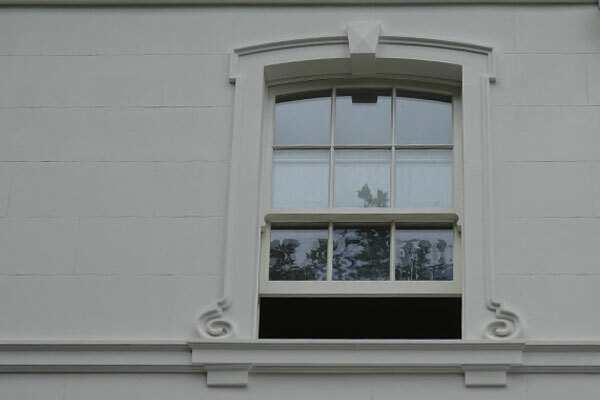 We create exterior mouldings using techniques similar to our fibrous plaster mouldings, but with slight alterations to allow for altered casting and demoulding. 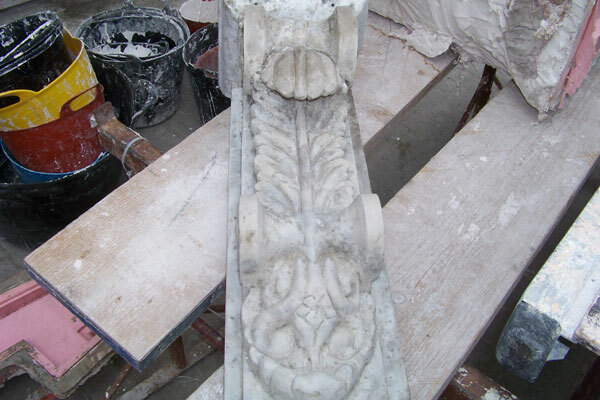 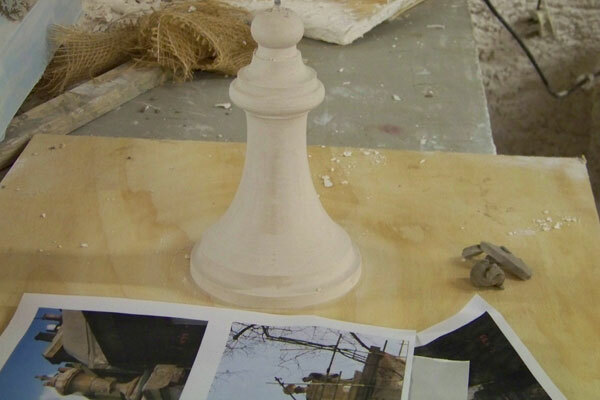 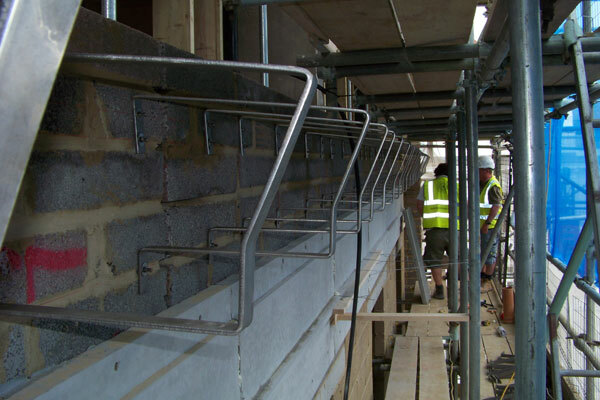 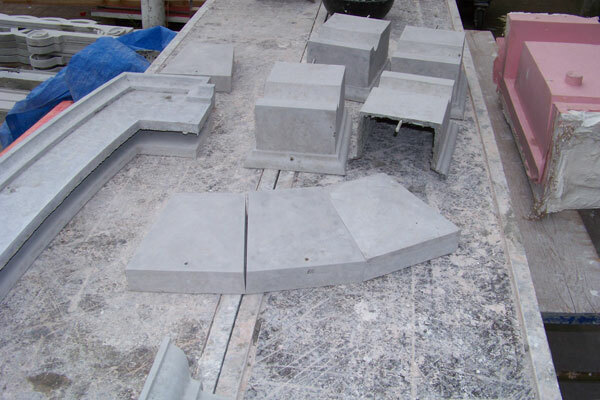 However, not all items are suitable for pre casting and we like to run these sections in-situ with specialist methods to create the mouldings directly.